We are glad to welcome you in our section Expert Voice. Soon Valentine’s Day and many guys are preparing their breathtaking proposal to the beloved women. 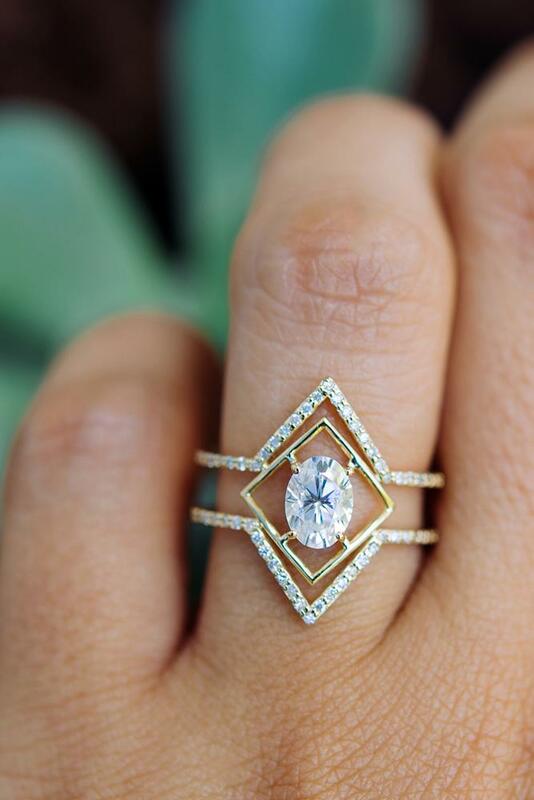 What rings will become the trend of 2019? What is worth paying attention to? 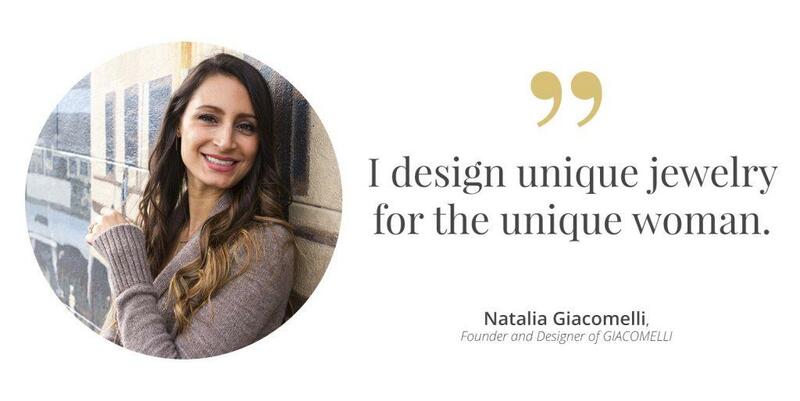 Your questions are answered by the founder of the GIACOMELLI brand designer Natalia. Tell us a little bit about Giacomelli jewelry. GIACOMELLI started 3 years ago when I started to look for engagement rings with my now husband and I realized there was a hole in the market for unique and modern engagement rings. I hated seeing so many rings that felt generic and that lacked creativly. 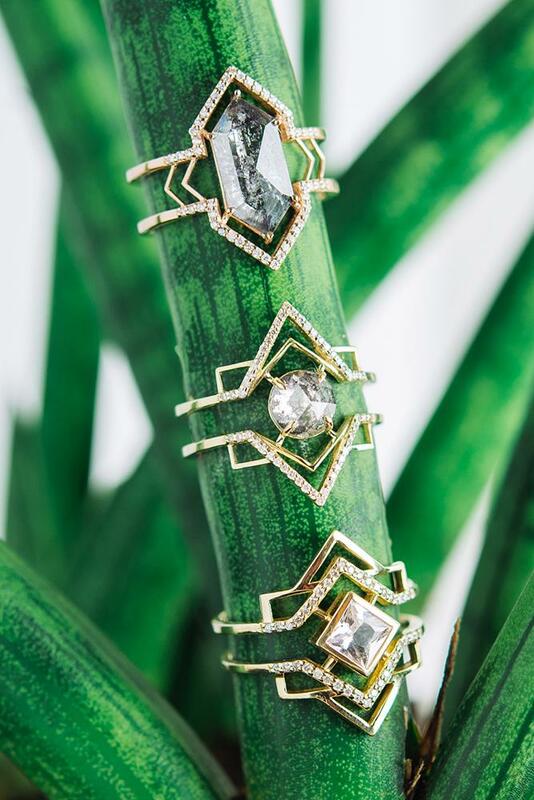 I also really loved Art Deco style with the graphic geometric elements so that inspired me to create designs that are all about these unique settings that perfectly frame a center stone. On a personal note, before I started GIACOMELLI, I was a Fashion Designer for over 10 years in Los Angeles for many well-known contemporary brands. I always struggled with how much waste and lack of social responsibility the fashion industry has. With my background in design and a strong desire to create a meaningful product that lasts a lifetime, I became inspired to start my jewelry brand. I love that I get to work with my clients one-on-one. I frequently customize the designs to make them even more unique and special to each client. 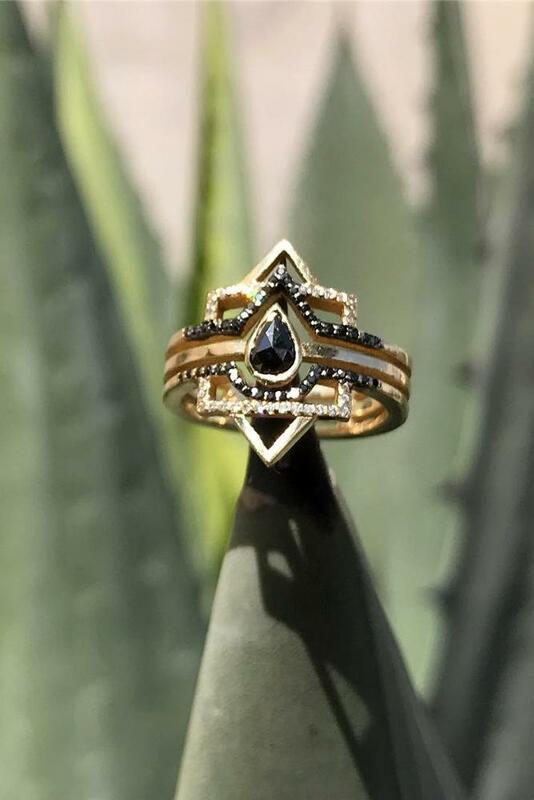 I love designing engagement rings the most because I love to connect with the couples and hear their stories. They are always such interesting people with so excitement for the future, and it is an incredible honor to be entrusted by them to create this important symbol of their love. What are the TOP 5 styles/setting of engagement rings for 2019? What is unique engagement ring trends 2019? 2019 is all about uniqueness and one of the major engagement trends for 2019 is the double-banded engagement ring. This is the evolution of the stacking bands trend we’ve seen happening the last couple of years. What’s cool about the double band ring is that it creates a set space between the bands where you can play with interesting design elements such as a center stone that looks like it’s floating between the two bands. 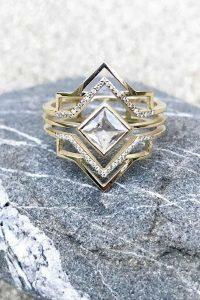 My Arrow Marquise ring is a perfect example. 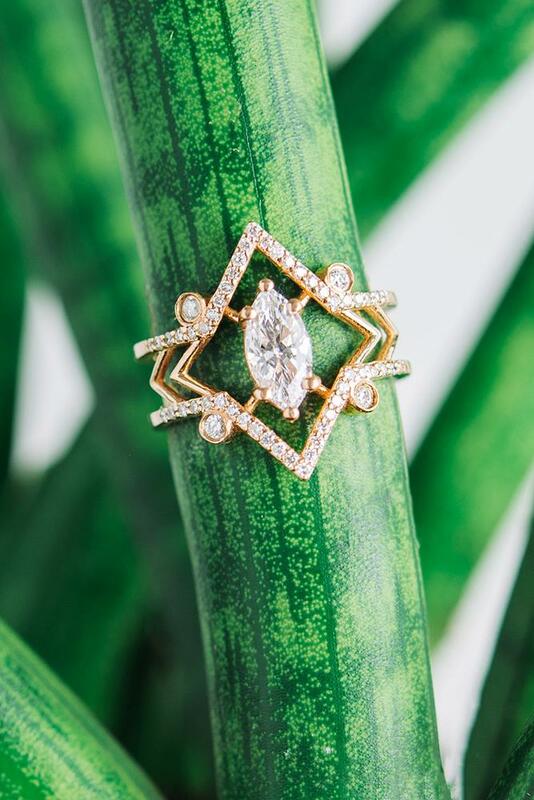 The marquise cut stone looks as if it is suspended between two pointed pave bands with little arrow shaped design elements in between (attached pic). As tides shift away from the classic solitaire or halo style engagement rings, couples are looking for alternatives to the traditional style. Every relationship is unique, and our couples want their engagement ring to be a reflection of that! What color of gold will be trendy in 2019? Rose gold is still going strong for 2019. What about engagement rings with gems? Trend or past season? The momentum continues to grow for diamond alternative center stones. The two most popular alternatives are moissanite and salt and pepper diamonds. Moissanite is great for their incredible sparkle, ethical manufacturing, and affordability as compared to the cost of a diamond. 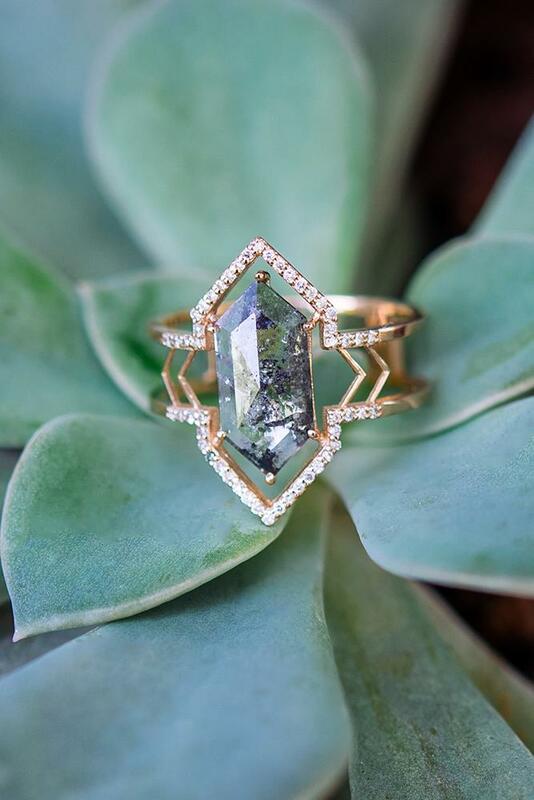 Salt and pepperdiamonds are technically still naturally made diamonds but they are always eco-friendly and each one of them are individually unique with their beautiful striations and patterns. Are rings made of other metals popular?